Let’s face it many of us try really hard to stay fit, lose weight and generally live healthy. So one question all over the internet is why we are not seeing results. While there are many factors that come into play, diet is by far the most critical factor into weight management. Getting enough protein is an often overlooked way to start seeing better results and increase your efforts on weight loss or gain. There are numerous health benefits from consuming Grass Fed Whey Protein and we narrowed down to the top three. Just search the internet and you will see thousands of articles on how consuming protein can help with weight loss. It is one of the most fulfilling macronutrient. Taking a quality whey protein is one way to quickly increase your protein intake, which should help in your weight management. Australian researchers had 28 obese men consume four different drinks. Those who consumed the beverage containing 50 grams of whey had significantly reduced levels of ghrelin (a hormone that tells your brain you’re hungry) up to four hours later. Other studies have shown that taking Whey Protein instead of other sources of calories while exercising can cause weight loss of around 8lbs while increasing lean muscle mass. There are many studies that have looked at the impact of consuming protein an hour before or after a workout (#1, #2, #3, #4, #5). This works by providing the building blocks for increase muscle growth. 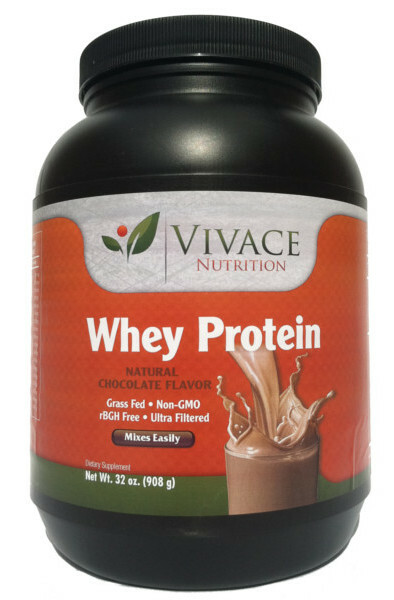 Whey protein contains all of the essential amino acids in biologically significant amounts. It is simply one of the most complete sources for intake of proteins and amino acids. The bottom line is if you don’t have enough protein intake it will impact the results you will achieve. There are many studies that show additional health benefits to consumer Whey Protein. This is because of the bioactive ingredients that do more than just muscle synthesis. Promotes glutathione synthesis and reduces allergic disease incidence. Improves retinol/vitamin A absorption and uptake. Improves bone healing and prevents bone loss. Neutralize toxins from viruses and bacteria. Try This Protein Shake Recipe To Keep You Satisfied For HoursWhy Whey Protein Is Among The Most Valuable Kind Of Protein!